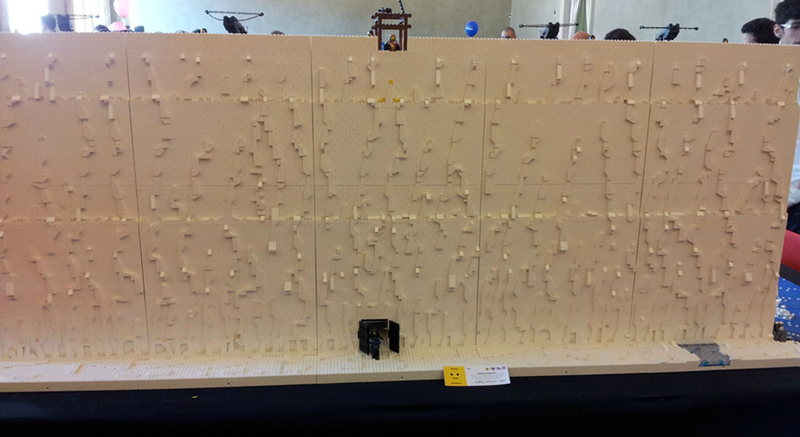 Displayed at an Italian convention, the creators of this massive Game of Thrones LEGO build chose a rather unusual centerpiece: a peeing Tyrion Lannister. Yep. That's him. And I've never seen that many white blocks. Pretty sure this took a lot of time to build up. But it's not just the Wall and Castle Black. The entire continent is part of the huge display. The Wall better not fall though.